Illuminate your home with understated elegance offered by this contemporary pendant light. A fun, yet elegant contemporary choice in lighting. This pendant light has a modern appeal with incredibly handsome design. The large drum shade helps to distribute the light perfectly. 20" wide x 32 3/4" high. Canopy is 5" wide. Weighs 11 lbs. Includes 6 feet chain and 12 feet wire. Sloped ceiling adaptable. 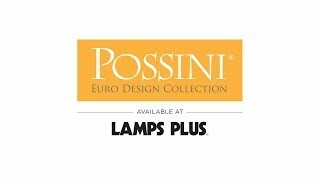 Azle drum shade pendant from Possini Euro Design®. Brushed nickel finish frame and canopy. Linen shade. Matches a chandelier we ordered. Very nice looking for our foyer! A plain drum is too simple. Some of the drums incorporate too much (crystals, distracting drums, too much scrollwork). This one looks nice, is not a show stopper and I didn't want it to be. 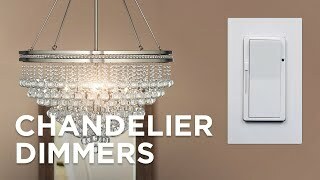 It takes regular lights (great for Hue owners, making it not only dimmable but also warm to white or colors lighting). Has some pleasant design and will fit it. What I wanted. New home.......like the simple elegance of the light! Is the shade glass and would it be acceptable for a bathroom? BEST ANSWER: This features a linen lamp shade and not damp rated. But if you still intend to use it in your bathroom, it is highly recommended to have good ventilation. 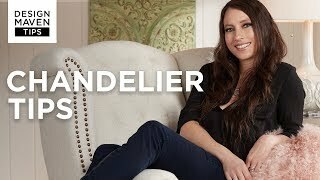 Does this model allow for a dimmer? Yes, ours is on a dimmer. We have had this Pendant Light over our dining table for a year and a half. I still love it! Yes! We have ours on a dimmer switch. 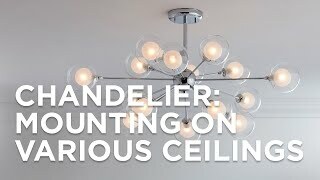 Can this light be installed in a foyer with a 9 ft ceiling without hanging to low? BEST ANSWER: Hi - For a ceiling height of 9 to 10 feet, the bottom of the light should be approximately 7 feet from the floor. This will be too long for your area. 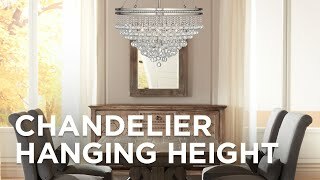 Please contact one of our knowledgeable Lighting and Home Décor Specialists who can provide you with some fantastic advice on chandelier sizing for your foyer. I have also added some helpful links below. Probably not. We have this hanging over our kitchen table, from an 8 foot ceiling, and it hangs just a couple feet above an average kitchen table height. What size and color is the ceiling plate? Can I get this with a black shade instead of white? BEST ANSWER: Hi Barbara - I am sorry, this is not offered with a black shade. But, I have added a link below to some other pendants similar in size which offer a black shade. Is this fixture rated for damp locations? BEST ANSWER: This is not damp rated. But if you still intend to use it in your bathroom, it is highly recommended to have good ventilation. I purchased it as a gift for my sister who hung it in her dining room. I'm guessing by your question, you're thinking of putting it in a bathroom? I'm sorry I can't be of more help to you. My sister did say, however, how beautiful and elegant it is. Is the shade white and what it is made of? BEST ANSWER: Yes, it is a white linen shade that is included. It is more of a soft white. It's not off white or cream. It's whiter. It's fabric on a hard surface to support it. We really like it with our dining area light. I think it's Adele. We have had many nice compliments from guests. How do I clean linen shade? BEST ANSWER: The most common reason for cleaning a shade is for dust or lint. A simple way to clean your shade for this reason is to use those sticky lint rollers. The same ones you would use for your clothes. It is a fabulous way to clean your shade without damaging it. Use your vacuum attachments to clean the shade. I want to hang this in a room that does not have any lighting in the ceiling. Does this work like a lamp (turns on when plugged in)? BEST ANSWER: I'm sorry, this is not a plug in pendant light. It requires direct wiring. 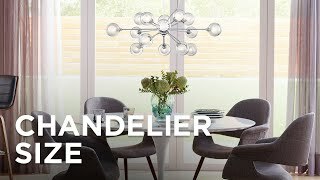 Click on the link below to browse our selection of plug-in chandeliers and pendants. BEST ANSWER: This light can be hung on a sloped ceiling. I'm not sure what you mean but I installed it on a vaulted open beam ceiling. Due to the electricity source it was attached through a wall and swagged to the location we wanted on the ceiling. 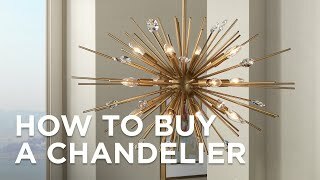 It is a traditional chandelier so it will work just as well as any other typical chandelier would. 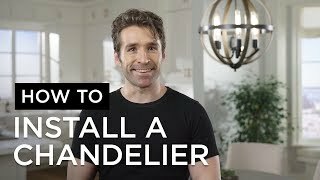 Does this take small candelabra base bulbs or regular size base? BEST ANSWER: This pendant light uses regular size candelabra bulbs. Great over dinette or dining table. Also purchased a remote to make it easier to use. The diffuser panel was what really sold me as I did not want to see bare bulbs exposed. Very nice design, wonderfull , gives out excellent light, easy to clean, fits a large room although not a very large lamp. This light fixture gives a beautiful contemporary look. It is well built and a high quality product. I would have given it a 5.......but someone forgot to include the Directions!!!!!! Hi Patricia T., thank you for the review - if you still need installation instructions for this lovely pendant, please contact our customer service team by email, phone, or chat and they will be happy to help. Thank you. A little difficult to put together. Looks great! Love the details on this light. So stylish and simple and yet sophisticated. iit had a blemish and a big seam. Now it's on sale?!!!!! Hi Anthony P., sorry to hear that your pendant light arrived with a blemish on the shade. Our customer service team has assisted you with this issue, as well as the price matching. Please reach out to them again via phone, email, or chat if you have any further questions. Thank you. It's a nice lamp. I like it, but the curved metal detail sitting at the top of the drum are not sitting as high as in the picture. That is disappointing.